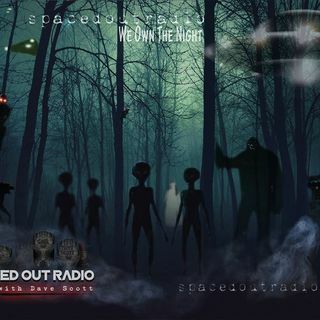 Tonight on Spaced Out Radio Weekend Host Tessa N Thomas aka TessaTNT is joined by Author and Paranormal Investigator Dave Spinks. Dave has been investigating the paranormal and supernatural since 1986 due to experiences he had as a child. We will be discussing his 100s of investigations done in the US as well as Europe. He has worked with many well known investigators and has been featured on many paranormal shows. Dave has also written the book "West Virginia Bigfoot" and is soon to ... See More release a book on hauntings in West Virginia as well. A regular Celine Dion she is ! Thanks Dave Spinks. Great show. Marlena.. see ya in a few mins ! Mary V ! 'ill tonight ! Nighty night love and light! Eric is coming on next. BTO............Too Funny... I can't see you in a jacket w/ tie..